Fall TV is fast approaching. Which means the sun is setting on another year of summer TV. Some of it has been fun. Others downright atrocious. 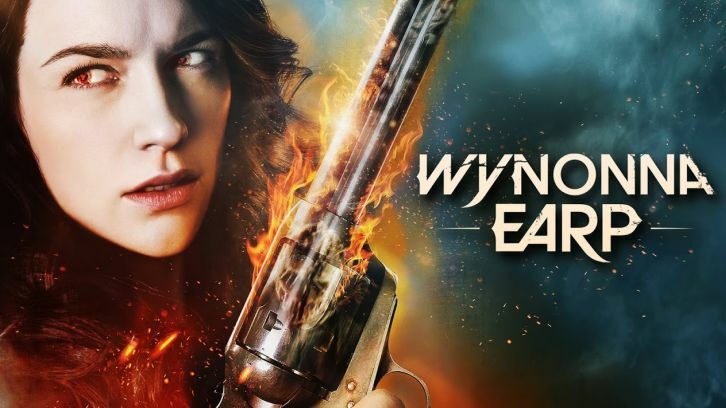 Changing things up a little, we’re looking back on Wynonna Earp season 2 and asking what the show got wrong, what it did well, what we hope season 3 will bring, best moments and what we’d really like the show to do differently. I came to the show for the intrigue. Wynonna & Waverly’s sibling relationship is why I stayed. Melanie and Dominique are absolute gold together. Be it the heartbreak, humour or the drama, every scene of theirs is brilliant, and I love that Wynonna & Waverly’s relationship is at the heart of the show. Bringing back Michael Eklund’s ‘Bobo’ for the seasons climax was a stroke of genius. I’ve no particular fondness for the character, but Michael Eklund is a terrific actor, who works so well with the rest of the cast. Also thankful the show didn’t put us through a tedious triangle of Doc/Wynonna/Dolls, although Doc & Dolls friendship doesn’t quite ring true. They could barely tolerate each other in the first season. Yet because they had a bit of what I’d label ‘forced bonding’ with storylines intersecting, I’m supposed to believe they’re now best buddies? When Emily admitted in an interview the only reason Doc had helped Dolls at the beginning of the season, was to make it a fair fight over Wynonna? No thanks. I can also appreciate the show having enough self-awareness to ship off Wynonna’s baby in the finale. Baby storylines do not work well on sci-fi shows. The hands might’ve been forced in featuring the storyline so early in the shows run, but it knows keeping a baby around full-time isn’t practical. Unfortunately, quite a number of things. Storytelling wise my biggest annoyance is moving away from revs of the week, to a more serialized aspect. It doesn’t make sense when the core of the show is killing revenants to break a curse. Season 1 was so enjoyable because it managed to easily manoeuvre the case of the week revenants, character storylines & the big villain that was Bobo. Season 2 character storylines took a massive back-step. An example of this is the cliff-hanger from season 1 in which Bobo told Waverly she wasn’t an Earp. Finishing season 2 the only thing confirmed was Waverly isn’t half rev. Then there is the show deciding to explore a possession storyline and in with it, embroil itself in the murky waters of consent. For a quick recap season 1 ended with Waverly touching the goo, being possessed, and turning to face Wynonna and Doc before a gun went off. The season 2 opening completely erased that, instead claiming the gun shot had come from somewhere else, and the opening episodes had everyone in the dark on Waverly being possessed. That everyone included Waverly’s beloved girlfriend Nicole, and the two slept together in one of the seasons early episodes. As viewers, we know that Nicole would never have gotten intimate with Waverly had she known she was possessed. 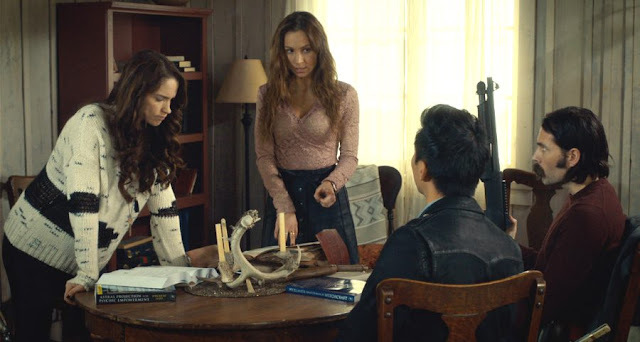 The show was criticized for this and after the storyline concluded, had one scene where Nicole questioned whether Waverly was herself when they did things. Waverly assured Nicole she was, and we as viewers are supposed to accept this face on, and squeal over the supposed cute fest. No. 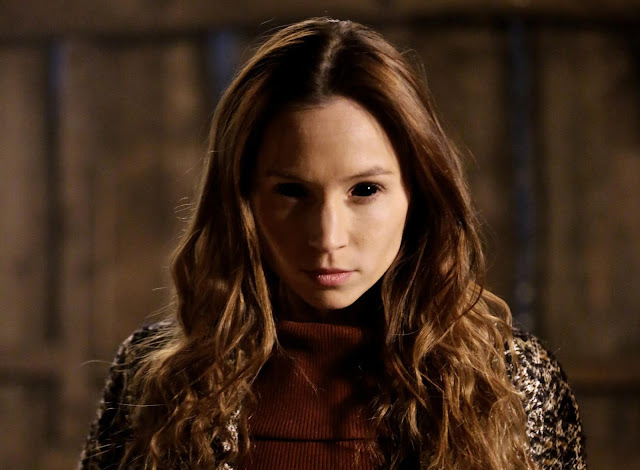 A number of times in the storyline Waverly switched between her normal and possessed self quite suddenly, including during scenes with Nicole, and she was also shown to have gaps in her memory. It’s not cute at all. Then there is the cheating. Because yes, kissing someone while you’re in a relationship is cheating. No ifs, no buts, just pure, simple, completely needless, cheating, and one Waverly didn’t seem guilty about. The excuse is she and Rosita were seeking comfort with them both going through issues in their relationship. Oh and sitting in a hot tub talking about chemicals in alcohol is quite the turn on. Waverly and Rosita were both fully into that kiss. When you feel guilty about something, the first thing you do the next day is go to them, apologize and sort out your differences. Instead Waverly went to the bar, talked to Rosita about how horrible a message she sent to Nicole was, and had to be talked into seeing Nicole by Rosita. The only critic given to the show is the use of the cheating trope, and criticizing the show for once again making a bisexual character promiscuous. In theory, it’s a good point. However when the show and indeed the fans have spent 99% of the time claiming Waverly is gay or ‘undecided’ on her sexuality, despite spending season 1 in a relationship with Champ and in the alternate universe episode being engaged to Perry? It almost seems like an excuse to demonize bisexuals for the sake of it. Nicole Haught. Or more specifically, the lack of screen time/storylines/character development. 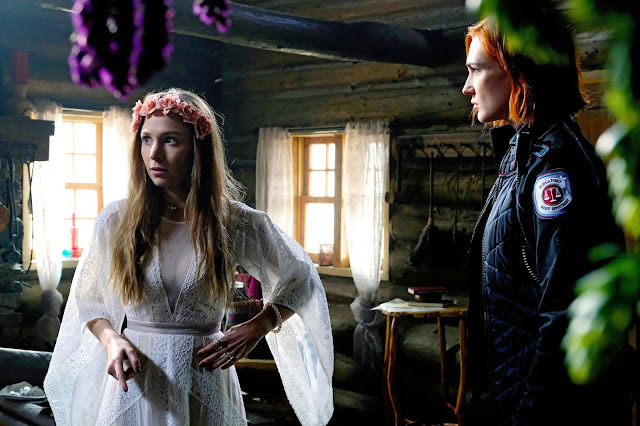 Before season 2 of Wynonna Earp started, crew involved with the show proclaimed that Nicole would be in every episode and a big part of the season. This statement was apparently in response to numerous people asking for spoilers on season 2. The fact this statement came out in the wake of Floriana Lima who plays ‘Maggie Sawyer’ on Supergirl stepping down as a regular to instead recur in season 3? Apparently, a wild coincidence. Sorry but I’ve been on the Internet long enough to know blatant lies when I see it. There was widespread criticism for how little screen time Alex/Maggie got and indeed the character development Maggie got during season 2 of Supergirl. Those involved in Wynonna Earp were trying, and still attempt, to proclaim itself to be the better show. I’m guessing because they need the viewers. Unfortunately, despite these wild promises, Nicole was nothing more than a glorified extra. She was barely involved with anyone that wasn’t named Waverly. Her supposed backstory came in the shape of a never before mentioned wife, showing up out of the blue. There’s never been any real focus on her work as a Police officer. Not exploring her personal life and development friendships with other characters in the show. Unless of course you count that one episode where she and Wynonna went off to a bar. Supergirl has its faults, but at least Alex & Maggie haven’t so far cheated, their relationship development has been on screen, they shared more than one conversation before becoming partners, Maggie has had more than one scene with the rest of the cast, is involved in the main action, has been given a back story, and they always have each other’s backs. Not something directly related to the show, but someone please take Emily’s Twitter away. It’s an absolute mess. If she’s not threatening to kill LGBT characters off because the shows not trending, she’s calling people trolls for giving critique, hyping episodes that are completely lacklustre and getting involved with shipping. All of it is completely unprofessional. Do I understand that with social media extremely prevalent in todays society, interacting with fans can bring in new viewers and is free promotion? Absolutely, but there’s still a line that needs to be drawn. For those that bask in the light of Emily Andras, it’d do good to remember she was also involved in Lost Girl for a number of years before Wynonna Earp came to fruition. One look at what the show turned into and reaction from the fanbase towards anything Emily is involved with would urge caution. Wishlist for Season 3 + What the show could do better? Better storytelling. Give Nicole an actual backstory, mix her into the main group. The show has a great cast that has great chemistry with each other, use it! Have Waverly & Nicole do something in their relationship outside of kissing. Stop overcomplicating things. Do not use cheap tropes that do nothing to advance the storylines. Stop calling out other shows when you are no better. Three favourite scenes of the season are Wynonna discovering she’s pregnant, Waverly promising to be there for Wynonna, and Wynonna’s devastation at realizing Waverly had betrayed her. There’s just something so raw and so honest about these scenes, not to mention the superb camera work and directing. Melanie is an absolutely tremendous talent who really does deserve all the awards, and just works so well with Dominique. Favourite quote would have to be Waverly’s exchange in the premiere where she’s asked if she knows who Kanye West is and says ‘I’m British not elderly’. 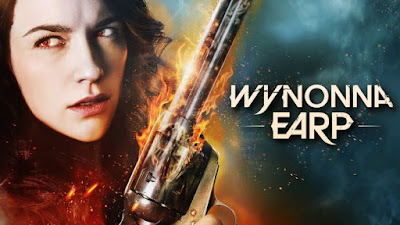 Wynonna Earp has fast become one of my favourite summer shows. That’s not really saying much considering the limited offerings available for summer TV. I hope season 3 is a massive improvement on what season 2 had to offer, but Emily’s post finale interviews aren’t filled with hope.